Giving the gift of cigars is not as easy as it sounds. Personal preferences can be finicky and there are so many cigars to choose from. Ideally, you’re giving him a cigar he wouldn’t usually buy for himself. (Think a Padrón Anniversary or a Fuente Opus X if he usually smokes standard-issue Padróns or Fuentes, respectively.) For more ideas, read our Guide to Giving the Gift of Cigars. One specific suggestion always worth considering is a Cigar Rights of America (CRA) sampler, which includes ten high-end cigars plus a free membership in CRA. Every cigar enthusiast needs a great table lighter, travel lighter, cutter, ashtray, travel case, humidor, etc. Instead of buying cigars, think about giving the gift of a cigar accessory that can last a lifetime. Many regular cigar smokers I know won’t spring for a nice case or lighter, so it makes the perfect gift. Lately, I’ve really been appreciating this Lotus triple-flame lighter and my Stingray Skin Tampa Fuego case. There are lots of good bourbons being made these days, but some old standbys are becoming harder and harder to find. Sure, who wouldn’t want a bottle of Pappy as a gift? But the increasingly exorbitant prices you’d pay ($1,000+ for a 20 Year Pappy) make it hard to justify. 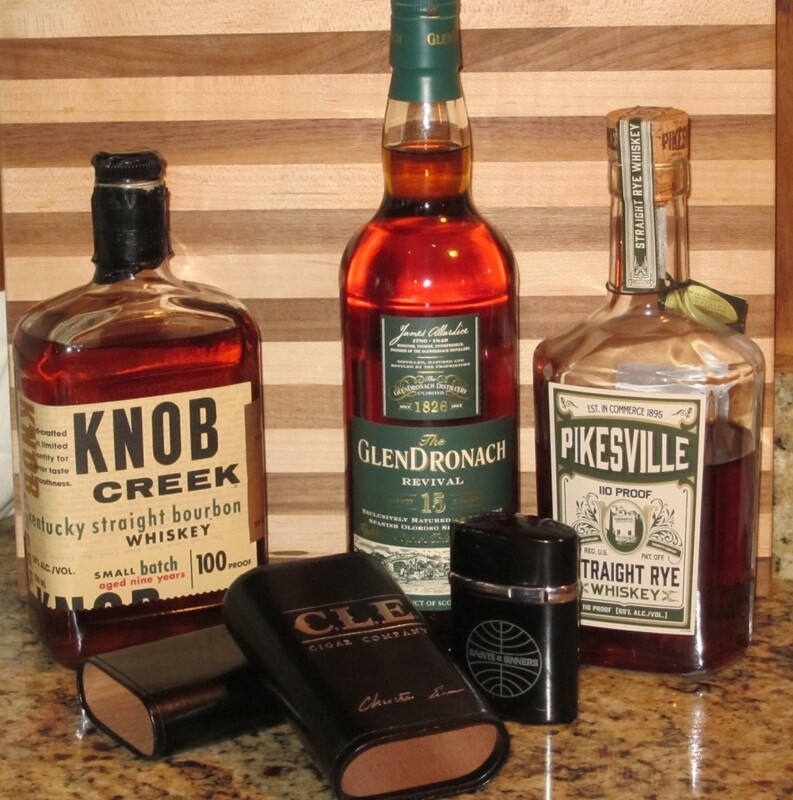 One good bourbon you can still find with relative ease is the nine-year-old Knob Creek Small Batch (~$32). Full of caramel, oak, and a little spice, it is a bourbon novices and connoisseurs alike can enjoy. For rye fans, the new Pikesville Six Year Rye is a full 110-proof flavor bomb. Any single malt fan would appreciate Glendronach 15 which, although it has been discontinued, can still be found and is the closest thing to Macallan 18 available for under $100.